The build-up to Sam Mendes’ latest depiction of one of the most iconic characters in the world was most definitely a turbulent one. From Daniel Craig’s blunt admission that he had had enough of the character, going as far as to say that he’d rather slash his wrists than return to the role, to Sam Smith’s promising but ultimately disappointing theme song, ‘Spectre’ provoked a lot of reaction before it had even had a chance to hit the screen. This stuff is all just a distraction to the main event however, and it remained to be seen whether Mendes’ second effort at the helm of Bond could match up to the series high-water mark of ‘Casino Royale’, or at least find a way to improve on his interesting but deeply flawed previous effort ‘Skyfall’. The good news is ‘Spectre’ is a success. Sam Mendes has made a good old-fashioned thrillride which grabs hold from the first scene, a gripping Day of the Dead chase sequence that arguably steals the whole movie, encapsulating the sort of spectacle that Bond should be. Daniel Craig has always been the consummate suave secret agent, but that first scene shows him at his best, always looking above the situation even when it’s at its most intense, looking immaculate through the biggest set pieces. Of course one of the best bits about ‘Skyfall’ is that it showed that Bond was distinctly human, suffering from what could be seen as a form of PTSD and failing to pass any of the requisite tests for an agent. This film still has those themes, hinting at a Bond that might want to get away from it all and who may just have other things on his mind. It’s a mark of Craig’s versatility that his portrayal of a vulnerable Bond is as believable as the steely killer who adorns most of the film, and it’s testament to his acting ability that he pulls it off. This film, far from it being a simple case of Bond taking on a master criminal, which to be fair is still a major part of the film, also tackles issues like surveillance and once again features Bond going against the system. Andrew Scott, famous for his turn as Jim Moriarty in the BBC’s ‘Sherlock’, is a whole different kind of villain here as a bureaucrat intent on reforming and eradicating the double-0 program, wanting to replace it with an intelligence co-operation agreement that would basically advocate worldwide snooping. He’s smarmy and annoying, and works fantastically opposite Ralph Fiennes’ M, their rivalry working its way through the film. The film does have flaws. Gender dynamics have always been troublesome in Bond films and Bond’s treatment of Monica Bellucci’s character in particular is cringeworthy at best. Overall though we have definitely come a long way since the early days, but things could still improve and scenes like that are unnecessary. One also wonders just how Léa Seydoux’s falls for Bond so quickly, but that is such a large part of Bond films that it’s basically taken as a given. To be fair, Seydoux herself is a strong counterpart to Bond, and their scenes together do show that they have a lot of chemistry, so it’s a whole lot more believable than some of the maestro’s previous romances. Unfortunately Christoph Waltz’s much hyped role is also ultimately a little bit of a disappointment. That is nothing to do with Waltz, who is typically on form as the villain of the piece, but Mendes sadly doesn’t give him enough to do over the course of the film, which could be a mark of the film’s attempts to cram in multiple storylines, causing his role to feel somewhat rushed and not as impactful as it could have been. ‘Spectre’ is a fun thrillride that asks you to forgive its faults, and convinces you to do so with good humour, largely provided by Ben Whishaw’s star turn as Q, and enough good action scenes and significant moments that the faults become comparatively insignificant. 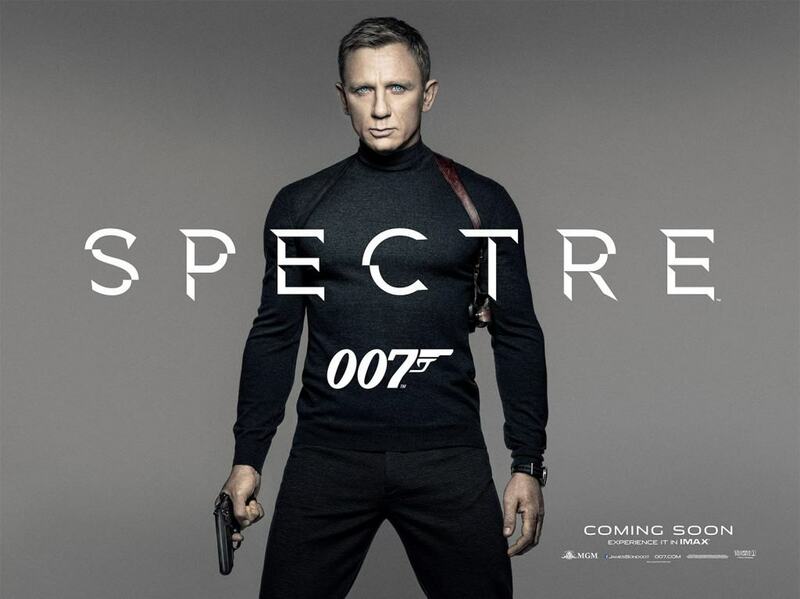 If you’re looking for some good old fashioned fun at the movies, then ‘Spectre’ is a good call. Preposterous and silly but full of spectacle, it’s a good way for Mendes to sign off, and if it does turn out to be Craig’s final film then it’s a good curtain call on his run. It is, as said before, a bit of a shame that the only good thing about Sam Smith’s theme song are the string sections, which happily make appearances throughout the film, but that can also, eventually, be forgiven.